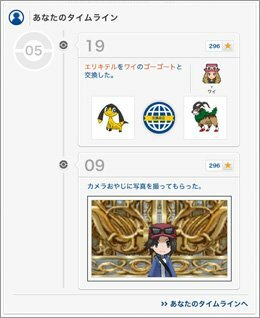 The most notable feature of the Pokémon Global Link is the inclusion of a timeline. Using this timeline, you'll be able to share with your friends the various milestones of your journey such as captures, Gym Badges and so forth. In addition to sharing this with your friends, if your privacy is open, other people around the world can see your posts, comment and even help you if you're stuck. These posts on the Pokémon Global Link can then be shared to your accounts on other social networks such as Facebook and Twitter. Unlike in past games where you had to log onto the Global Link website to see if there's any news or new promotions, the Holo Caster now provides you an opportunity to check the news while in the game yourself. One of the new features in Pokémon X & Y is the ability to take photos of your journey around the Kalos region. 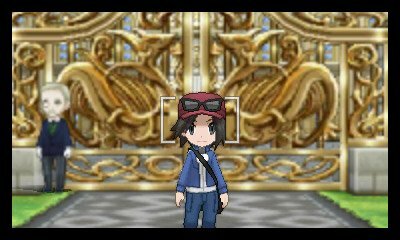 These photos are often superfluous, but they can be uploaded onto your Pokémon Global Link timeline and shared amongst your friends. 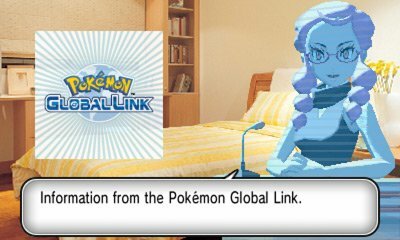 Like in the previous games, various Battle Competitions are to run on the Pokémon Global Link. These can be accessed in the game and will often provide a variety of prizes for entry.